Florida Leads the Nation in Foreclosures… Again | The Law Office of Emil Fleysher, P.A. Florida Leads the Nation in Foreclosures… Again | The Law Office of Emil Fleysher, P.A. For the 3rd month in a row, Florida has the nation’s highest foreclosure rate. 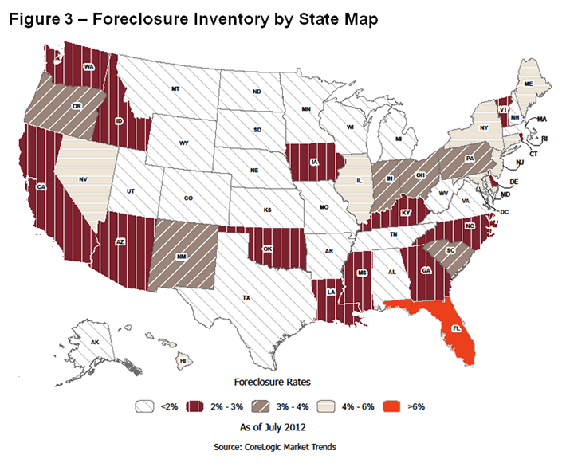 One in every 304 Florida homes was in some stage of foreclosure in November – more than twice the national average. Additionally, there are 550,000 Florida homeowners who are over 90 days delinquent but have not yet received default notices. The South Florida metro area alone (Palm Beach, Broward, and Miami-Dade counties) had the nations 5th highest foreclosure rate among communities with populations of at least 200,000. Six other Florida communities ranked in the top 10. Palm Beach foreclosures increased 11 percent while Broward’s filings, opposite of the statewide trend, actually fell 24% in November from a year earlier. Last month alone Florida had 29,612 new filings, up 20% from a year ago.